Vaporesso Giant Dual Atomizer with RTA Deck has large capacity 4ml to last longer. It has CCELL Triple Head Coil with 3 high quality ceramic cores which can fill more e-liquid to support big power. Vaporesso Giant Dual Atomizer with RTA Deck has large capacity 4ml to last longer. It has bottom adjustable airflow which can avoid leakage and overfill problem. The CCELL Triple Head Coil has 3 high-quality ceramic cores which can fill more e-liquid to support big power. It is the feature of Giant Dual Atomizer. 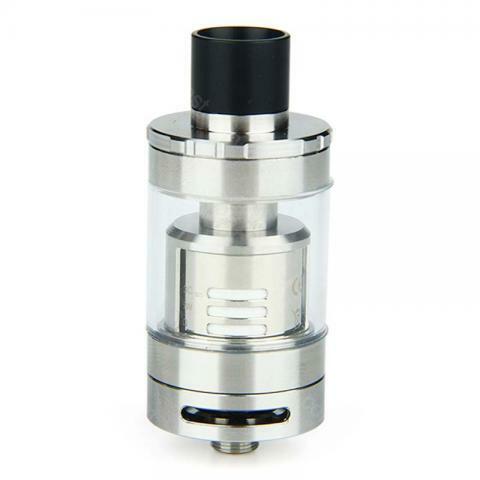 Besides, It is an atomizer with 25diameter and RTA deck. Vaporesso Giant Dual Atomizer with RTA Deck has big cloud and wonderful taste. • You can buy Giant Dual Replacement CCELL Coil. Very happy with the Vaporesso Giant Dual Atomizer. I was surprised at how easy it was to use. Vaporesso Giant Dual kam pünktlich an, die Handhabung ist einfach. Die Batterie hält auch gut durch.